Health insurance industry trade groups opposed to President Obama's health care reform bill are paying Facebook users fake money — called "virtual currency" — to send letters to Congress protesting the bill. Facebook users play a social game, like "FarmVille" or "Friends For Sale." They get addicted to it. 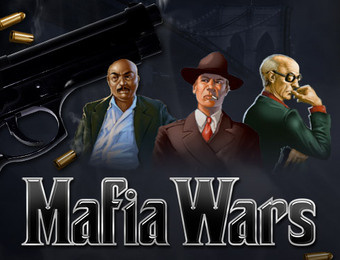 Eager to accelerate their progress inside the game, the gamers buy "virtual goods" such as a machine gun for "Mafia Wars." But these gamers don't buy these "virtual goods" with real money. They use virtual currency. By accepting offers from third-parties — usually companies like online movie rentals service Netflix — who agree to give the gamer virtual currency so long as that gamer agrees to try a product or service. This is done through an "offers" provider — a middleman that brings the companies like Netflix, the Facebook gamemakers, and the Facebook gamemaker's users together. It's this third method that an anti-reform group called "Get Health Reform Right" is using to pay gamers virtual currency for their support. "I am concerned a new government plan could cause me to lose the employer coverage I have today. More government bureaucracy will only create more problems, not solve the ones we have." What is this practice called? Paying people to act like political supporters is called "astroturfing," because its fake grass-roots campaigning. So maybe this should be called Virtual astroturfing. Virtual-turfing? Astroturfing 2.0? Get Health Reform Right describes itself as a "project of organizations whose shared mission is to ensure consumers continue to have access to employer-sponsored healthcare plans." We are concerned about federal legislation that would create new government bureaucracies that would unravel the workplace healthcare system where more than 160 million people get their coverage. Who are the gamers filling out the survey and sending emails to Congress? Facebook gamers tend to fall into two groups: women in their 30s and 40s and teenagers of both sexes. Astroturfing, which involves real money, is not illegal, We can't imagine virtual curreny astroturfing would be illegal either. Whether or not it's ethical is a different question. Gambit is just the platform here, bringing three parties together: gamers seeking currency, game-makers seeking monetization, and companies (and, apparently lobbying groups) looking for customers. OMGPOP CEO Dan Porter tells us it's most likely Get Health Care Reform agreed to pay an ad agency for every letter-writer it recruited. Dan supposes it was this third-party that likely created the survey and submitted it into Gambit's offer network. We reached out to Gambit CEO Noah Kagan for clarification. We'll update the story when and if they get back to us. Google tried to deliver your message, but it was rejected by the recipient domain. We recommend contacting the other email provider for further information about the cause of this error. The error that the other server returned was: 553 553 sorry, that domain isn't in my list of allowed rcpthosts (#5.7.1) (state 14).